Here’s how FeedbackWhiz can boost your online reputation and supercharge your sales. 2019 is set to be a bumper year for the Amazon Marketplace. 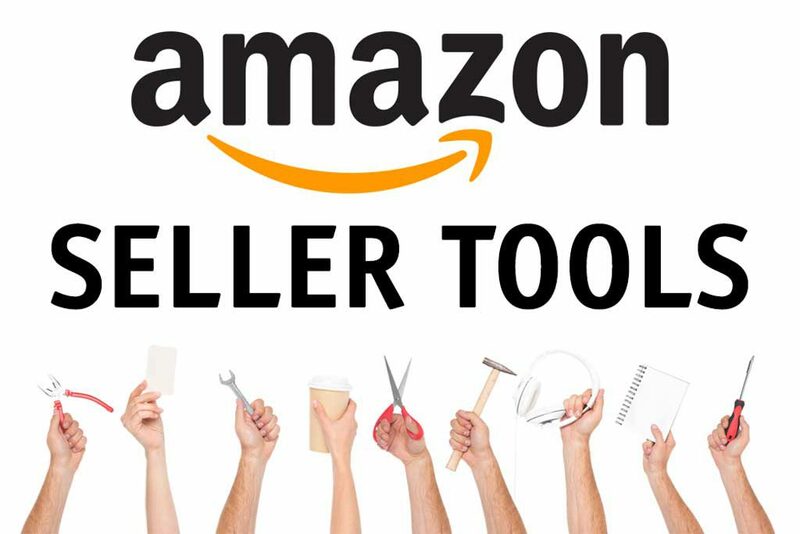 It is adding new sellers at a rate of about a million per year; Prime Day is beginning to rival Black Friday and the number of tools to help sellers succeed is growing by the day. One of the most interesting tools available is FeedbackWhiz – a review management tool which can become an indispensable sales companion. Like many other options, FeedbackWhiz offers various levels of pricing depending on how much functionality you want and need. The starter package, costing $14.99, provides order, feedback management, reports, analytics and unlimited emails. Upgrade to the Basic package and you get everything in the starter package plus product review management and monitoring for up to 100 ASINs. No other software on the market today offers this many features for such price. All your Amazon orders are synced every 15 minutes into FeedbackWhiz. This area contains a huge amount of useful information about customer data. You can search all available order metrics with just a quick click of your mouse. You can see how many emails have been sent about which order, what the status of the order is, whether the customer was satisfied and if shipping was delivered on time. You could also sort by promotional code helping you to establish how well your various promotions have been performing. Find out who your repeat buyers and the history of their purchases. FeedbackWhiz has seven templates available which you can either use directly or use as a source of inspiration for your own emails structure. It allows you to create and schedule emails to go out to your customers in specific scenarios. For example, if someone leaves positive feedback on your store you can send them an email offering your thanks and reminding them that they can also leave a product review if they are interested. The template gives you some leeway with the design and structure of each email. For example, you can add a basic image or an animated gif in your templates to try to improve open rates. The ability to create custom buttons will also help improve conversions as your customers will know exactly where to click to leave you a review. You can A/B test your emails, tracking the performance to see which emails are opened and which deliver click throughs. One of the core features of FeedbackWhiz is the product review management tool. This allows you to see all the reviews you have received from your customers updated 6 times a day, and quickly sort and respond and manage the negative ones.. For example, you could target only positive product reviews so you can focus your efforts on the happy customers that will be more likely to make repeat purchases. You can also filter by negative product reviews which allows you to analyze the negative comments from unhappy customers and comment on the review immediately. Commenting on reviews gives you chance for the reviewer to contact you to amend issues and lets your future customers know that you are serious about providing excellent customer support. There are various reasons you might want to do this. The first is to try and repair that review if possible and improve your relationship with that buyer. In some cases, you might find that it was not your fault. For example, if you’ve been using Fulfilled by Amazon (FBA) and it has been damaged during the delivery that isn’t an issue for you. Amazon handles these customer service issues and so being away of these bad reviews, lets you follow up with Amazon right away to ensure things are being resolved. One area which is often overlooked, but is arguably rather important, is using negative product reviews to monitor your own performance. If there is an issue with your product, you need to understand what went wrong so you can avoid the same issues with future customers. If your negative product reviews all say the same thing, it may be time to address that issue at the source. When customers leave a product review, you want to know as soon as possible – especially if the review is negative. FeedbackWhiz allows you to set up notifications so that you will be alerted every time a negative product review is left. This lets you reach out immediately to the buyer (or to Amazon if it is an FBA issue) to resolve the situation. When it comes to managing negative product reviews, speed is important. If you manage to get in touch and resolve their issue quickly there’s a fair chance they will delete or amend their existing comment. The longer an unresolved negative review sits there without comment or action from you, the more damage it can do to your brand reputation. FeedbackWhiz makes it easy to post a comment and begin the repair process. FeedbackWhiz serves as an example of where review management tools are headed. This software comes at a time when sellers are evolving in terms of what they want and need from the Amazon marketplace. Data is becoming a richer commodity and sellers are finding ways to use it more effectively. FeedbackWhiz seems to have recognized this fact and have already done much to address the need for speed, organization, and data collection. So, if you need a platform that offers all the data you could want, and can easily move and adapt to the unique needs of each Amazon seller, you’d be hard pressed to find one better than FeedbackWhiz.